Why Work at J&R Hall? 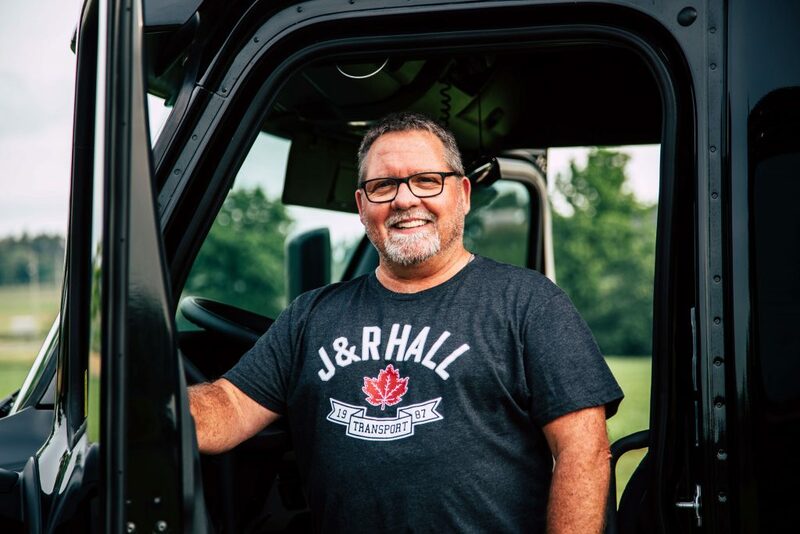 J&R Hall is family-owned and operated, and has been in the trucking business for over 60 years. We pride ourselves on providing a supportive, family atmosphere for our team, and offering competitive compensation and benefits for all positions. In 2014 and 2015, we were selected as one of the best workplaces in Canada by Trucking HR Canada. We are known for our open door policy and we offer a number of additional incentives for drivers and other employees. For example, did you know that as a J&R Hall employee, if you recommend a new highway team to us, you can earn an extra $1,000 once they complete their three-month probation? Drivers are a transportation company’s greatest asset. At J&R Hall, we understand the value of a reliable driver. That’s why we’re committed to supporting our drivers on the road, with fully-outfitted facilities, the latest technology, and schedules that work for their lives. To promote effective and responsible driving, a fuel bonus is available if you hit a certain mile per gallon benchmark on any trip. View our Job Opportunities page for an updated list of current openings.